If you are a runner you know what sore feels like. I have used The Stick and foam rolled my sore muscles. In November at the Philadelphia Marathon I saw a new product called the BFF. It looked interesting so Cheryl and I stopped at the booth to check it out. The BFF Miracle Body Buffer is just like it sounds…a buffer for your body. It oscillates and vibrates to help break up the lactic acid in your legs after a run. It felt amazing when I tried it out at the expo, but with a $300 price tag I couldn’t afford it. Last week Cheryl got the BFF at work to try out. I was so excited and asked her to bring it home so we could use it after our 12 mile run this weekend. 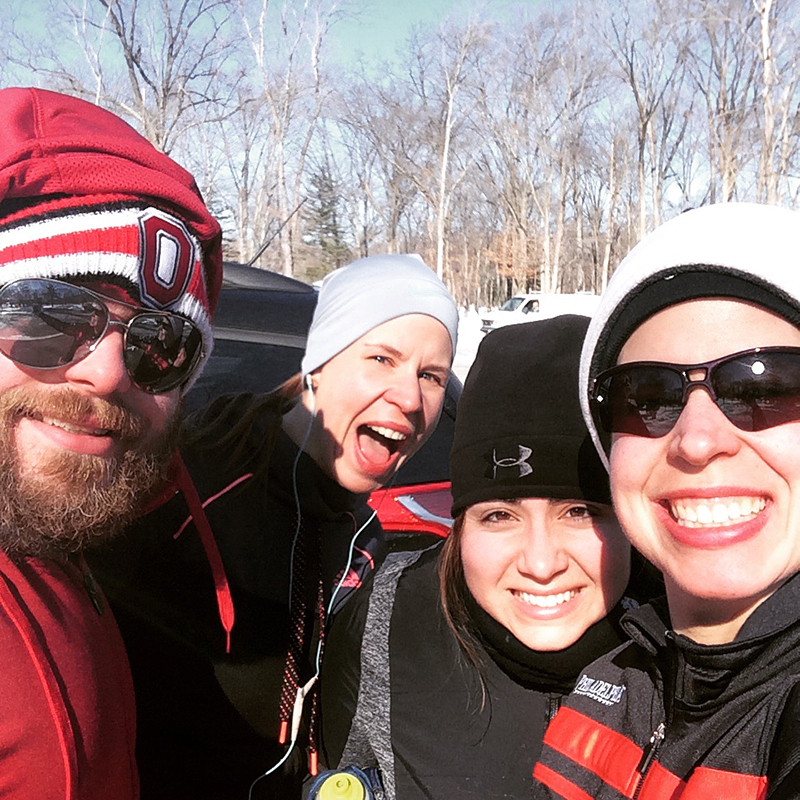 Saturday was COLD (12 degrees with a wind chill of 0 degrees cold) but we had to get out and get 12 miles under our belts. 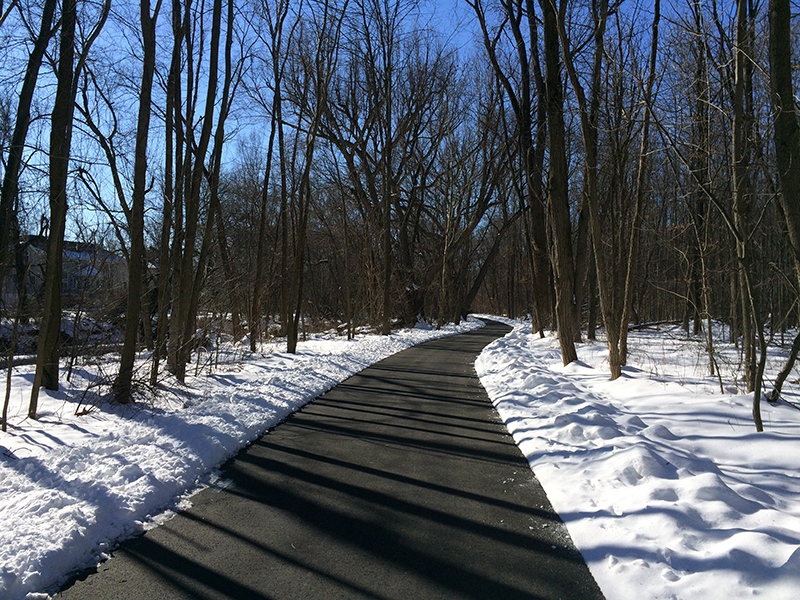 We headed back to Saddle River Park, since one way is 6 so down and back would be our 12 miles. The first 6 miles were pretty good. I did a slower pace with everyone (run/walk) and started to warm up. Towards the end of the trail there was a lot of snow, but we pushed through. The 6 miles back were rough. We were now headed into the wind and I stopped feeling most of my body (even with multiple layers). In the end we finished and I was very proud of my friends Kristen and Spenser. It was the furthest they have ever run! Kristen’s back started to hurt towards the end of the run so we told her to come back with us and we would all test out the BFF! It has 3 speeds, but we put it up to the highest one. 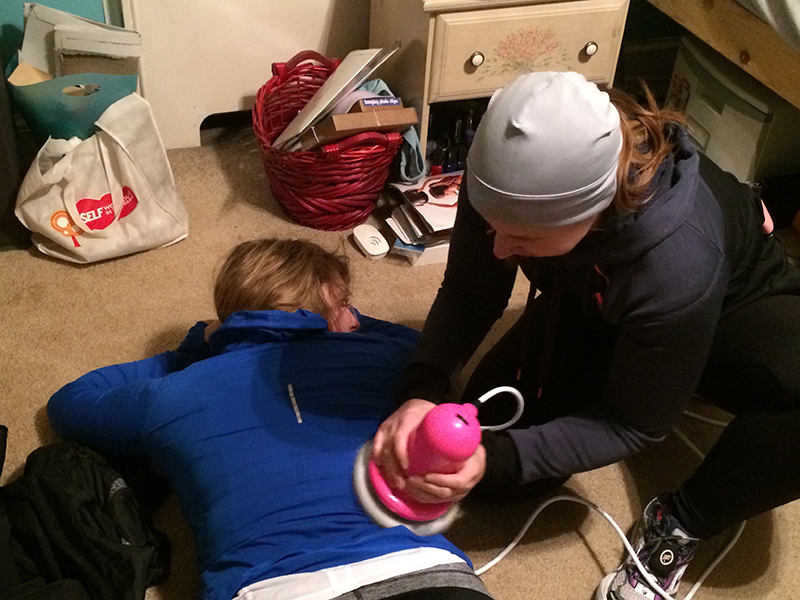 It’s a lot less painful than foam rolling and almost like getting a massage. Kristen immediately felt better.